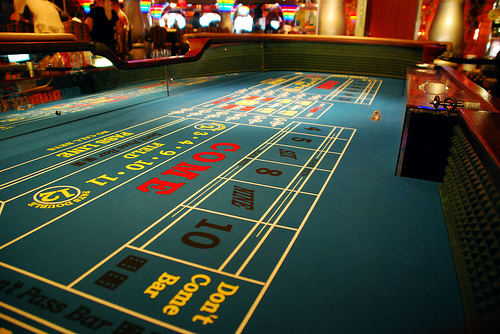 If you’ve been a little timid about playing online craps, there’s no reason you should be! To ensure you place the best bets so you win like a pro, here are some top tips. 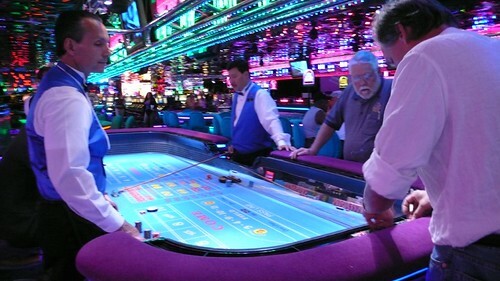 The game begins with a shooter who is also one of the players at the table. The shooter and players bet the table minimum on the pass line or the don’t pass line. The shooter then rolls the dice. This move is called the comeout roll or the point. Every craps game is played in rounds. If the shooter throws a 2, 3 or 12, the round is immediately finished and the next shooter steps up. This is called “crapping out.” If the shooter throws a 4, 5, 6, 8, 9 or 10, this becomes what is known as the “point.” The shooter and players continue to place bets until the shooter rolls a seven. If you want to play online craps in your favorite no deposit casino, because there are over 40 betting combinations in craps, you’ll want to ensure you are placing the most profitable bets. Pass & Don’t Pass Bets – The pass line bet is where players bet on the “point,” meaning they are betting the shooter will throw a 4, 5, 6, 8, 9 or 10 before a seven is rolled. This bet is an initial safe bet for most players. If you place a bet on the don’t pass line, you are betting the shooter will throw a number other than the point. Betting both of these bets are considered safe bets. 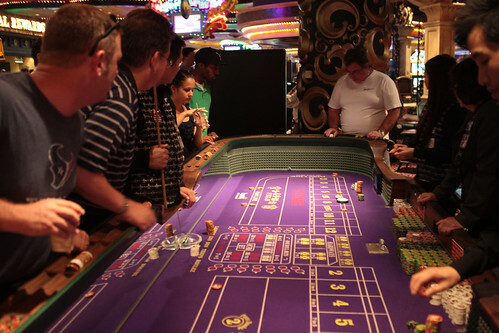 Back Up or Odds Bets – Another best bet in the game of craps is placing a back-up or odds bet. These bets must be placed after initial bets on the pass line. Say you bet $10 on the pass line to win. You can also back up the bet or place an “odds” bet that the shooter will roll the point. If you win, casinos will match your back-up odds bet. How much you can place on a back-up or odds bet depends on the rules at each online casino—some allow 2x, and others allow up to 20x your bet. Field Bets – If you place a bet on the craps table on the “field” or where the 2, 3 4, 9, 10, 11 or 12 appear you are betting one of those numbers will hit before a seven. They are 1:1 bets mean if you bet $10 on the field bet area and win, you win $10. Some casinos will pay 2x on if a 2 or 12 is rolled. The Come Bet – If you place a bet in the “come” area, you are betting a 4, 5, 6, 8, 9 or 10 are rolled. Most casinos will pay 1:1 odds on a come bet. For example, if you bet $10 on 8 and the shooter rolls an 8, you will win $10. Because come bets require you to choose one number to win, these bets riskier. Betting the Entire Line – Avoid placing bets on the entire come line (4, 5, 6, 8, 9 and 10). The shooter will only roll one number so you may win, but the bets placed on the wrong come numbers are automatic losers. If the shooter rolls a 7, you win nothing. Non-Line Numbers – Just as it’s risky to bet the entire come line, it’s also not a good idea to bet the entire line of non-numbers or field numbers—the 2, 3, 4, 9, 10, 11 or 12. Again the chances of winning one may be in your favor but you’ll lose all your other bets. If a 7 is rolled, you lose all your money. Playing online craps can be very rewarding if you stick to the safer bets and then take on the risky bets once you feel comfortable.